Chinese online recruitment firm 51job Inc. announced its unaudited financial results for the third quarter of 2010 ended September 30, 2010. Total revenues increased 23.7% over the third quarter of 2009 to CNY271.6 million, and net income increased 75.3% to CNY62.9 million from CNY35.9 million for the same quarter in 2009. 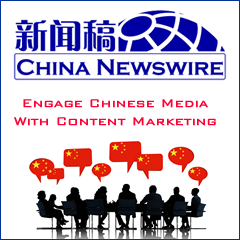 However, print advertising revenues for the third quarter of 2010 decreased 19.6% to CNY62.0 million compared with CNY77.1 million for the same quarter in 2009. The decline was primarily due to a reduction in the number of cities where 51job Weekly is published, from 22 cities as of September 30, 2009, to 16 cities as of September 30, 2010, which resulted in a 33.3% decrease in the estimated number of print advertising pages generated in the third quarter of 2010 to 2,143 compared with 3,213 pages in the same quarter in 2009. However, although print advertising prices in each city were largely unchanged, overall average revenue per page in the third quarter of 2010 increased 20.5% as compared to the same quarter of the prior year due to an increase in page volume contribution from higher priced cities. Through its 51job.com website, online recruitment services revenues for the third quarter of 2010 were CNY142.7 million, representing a 58.4% increase from CNY90.1 million for the same quarter of the prior year. The increase primarily resulted from a greater number of unique employers using the company's online recruitment services. Gross profit for the third quarter of 2010 increased 35.8% to CNY176.1 million from CNY129.7 million for the same quarter of the prior year. Operating expenses for the third quarter of 2010 were CNY107.2 million compared with CNY89.6 million for the same quarter of 2009. Sales and marketing expenses for the third quarter of 2010 increased 28.8% to CNY68.5 million rom CNY53.2 million for the same quarter of the prior year primarily due to an increase in salaries and commissions resulting from higher sales and headcount additions as well as greater advertising expenses. Income from operations for the third quarter of 2010 increased 72.0% to CNY68.9 million (US$10.3 million) from CNY40.1 million for the same quarter of the prior year. Operating margin, which is income from operations as a percentage of net revenues, increased to 26.8% in the third quarter of 2010 compared with 19.3% in the same quarter of 2009. The reduction in the effective tax rate to 16.1% in the third quarter of 2010 from 30.1% in the third quarter of 2009 was primarily due to the qualification of an operating entity as a High and New Technology Enterprise in December 2009, which became subject to a preferential tax rate of 15%.